Murni SS2 is well located at Petaling Jaya where more than 23 colleges and universities located, lot of students/worker like to spend their time dinner and supper, hanging out at this restaurant, not because of the nice environment instead variety of food provided attract crowd to this shop. Normally after 10pm they will arrange table in front of the shop lot and it easily cover more than 10 shop lots so you can imagine how good their business is. 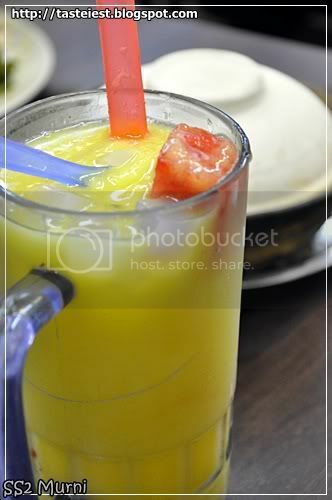 Big Cup of refreshing drink very popular here, below is Mango Special where blended mango add on with nata de coco, longgan and watermelon. It very close to pure mango juice and the add on nata de coco give extra texture to the cup of drink, it not too sweet instead a little bit sourly making the drink taste even better. 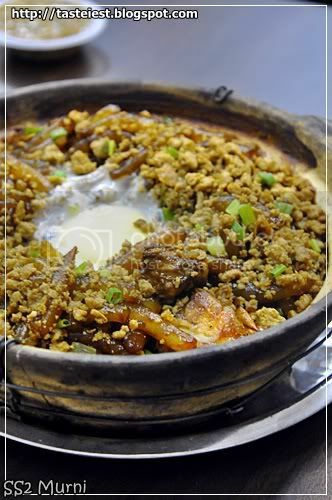 Another famous dish here is definitely Clay pot Lou Shu Fun, Lou Shu Fun cook inside clay pot with meat on top and one half cook egg. Burning smell is filling the air when served, stir the egg with Lou Shu Fun to mix up both and leave it for one minute before consume will make it taste better, because the egg will stick to Lou Shu Fun and the minute wait allow it to cook little bit. 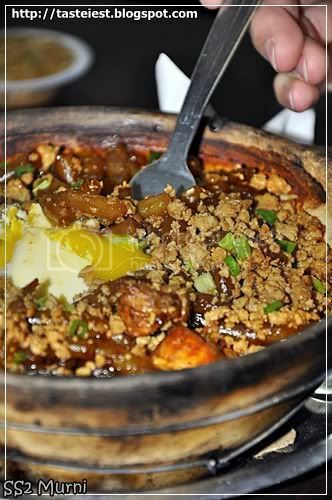 If you like burning taste then definitely this will be your favorite, some Lou Shu Fun will stick to the hot burning clay pot, taste savory with the soft Loh Shu Fun is so delicious. Next is our all-time favorite Cheese Naan. 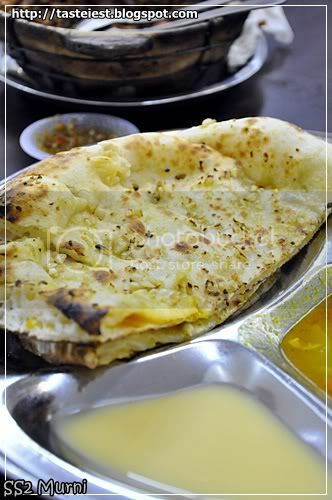 Cheese Naan in Murni is slightly different from what we had in Penang, Cheese Naan here is slightly thicker. 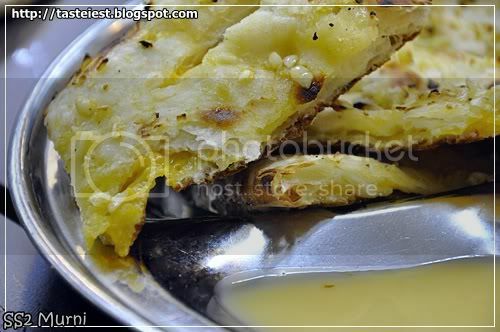 Cheese fill inside the Naan giving salty taste to the plain naan, dipping in the sweetened condensed milk will make it taste extremely good. Another look of the melting cheese. Yummy! Murni provide good food and reasonable price, lot of variety to choose from as well.